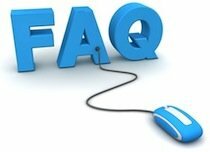 Below are some of the most frequently asked questions about employment law rights in New Jersey and New York. Employment law is the group of legal rights that employees have in the workplace. Important employment laws in New Jersey and New York include the right to be free from unlawful discrimination, workplace harassment and retaliation. Employment law rights also include your rights under oral and written employment contracts, rights and obligations under non-compete and non-solicitation agreements, and in some instances the right to receive severance pay. Other important employment law rights include entitlements under wage and hour laws, like the right to receive minimum wage and overtime pay and rights under the Family & Medical Leave Act ("FMLA") and the New Jersey Family Leave Act ("NJFLA"), such as the right to take time off due to a serious health condition or pregnancy. Do I Have a Legal Claim if I Was Fired Unfairly? No necessarily. People often us the terms "wrongful termination" and "wrongful discharge" in ways that suggest any unfair firing is illegal. However, not every unfair termination is legally actionable in in New Jersey or New York. Unless you have a term employment contract (like a one-year contract), are a civil service employee or a union member, you probably are an employee at will. Even if you are an employee at will, you still would have a claim if the reason you were fired was a form of unlawful discrimination or retaliation, or violated one of dozens of other state, federal and local laws that protect employee rights such as the Family & Medical Leave Act ("FMLA"), New Jersey's Conscientious Employee Protection Act ("CEPA") or a wage and hour law. Employment at will means that no matter how unfair the decision seems, unless your employer has violated a specific law it can fire you for any reason or even for no reason at all. Likewise, you can quit for any reason or for no reason. My Employer is Discriminating Against Me. Is that illegal? Discrimination is illegal only if it is because you belong to a legally protected category. In New York and New Jersey the legally protected categories include age, disabilities, gender, pregnancy, race, color, national origin, sexual orientation, marital status, veteran and military status and religion. Other types of discrimination and unfair treatment, like nepotism and favoritism, do not necessarily violate the law. My Supervisor is Creating a Hostile Work Environment. Does that Violate My Employment Law Rights? Workplace harassment is legally actionable in New Jersey and New York if it is a form of unlawful discrimination or retaliation. In other words, it is legally prohibited to harass an employee because of his or her age, disability, gender, pregnancy, race, color, national origin, sexual orientation, marital status, veteran or military status, religion or another legally-protected category. It also is illegal to harass someone in retaliation for engaging in a legally protected activity, such as complaining about illegal discrimination or harassment, or taking time off under the FMLA. Harassment is illegal only if it is sufficiently severe and pervasive (frequent) that it effectively changes the terms and conditions of your employment. Generally, the more severe the harassment the less frequent it needs to be for it to be illegal. Similarly, the more frequent the harassment is the less severe each of the incidents needs to be for it to be illegal. I Need to Take Time Off for a Medical Leave. What Are My Rights? An employee who is eligible to take a leave under the FMLA is entitled to take up to total of 12 weeks off per year for his or her own pregnancy, adoption, or serious health condition, or for family leaves to care for a child, parent or spouse with a serious health condition. In addition, some employees working in New Jersey are eligible to take up to 12 weeks of leave over a 24 month period under the New Jersey Family Leave Act ("NJFLA") for their own pregnancy, for adoption, or to care for a child, parent or spouse with a serious health condition. Generally, at the expiration of a leave under the FMLA or the NJFLA an employee is entitled to return to either his or her former position or an equivalent one. Unless a company has a policy that provides otherwise, family and medical leaves are unpaid. To take a leave under the FMLA or the NJFLA, an employee must give reasonable advance notice of his or her need for the leave. How much notice is required varies depending on the reason why he or she is taking the leave. There are many exceptions and restrictions on the right to take family and medical leaves. For example, relatively small companies (ones with fewer than 50 employees) are exempt. In addition, an employee must have worked for their company for one year, and must meet minimum hour requirements during the previous 12 months. These exceptions and exemptions can be both complicated and confusing. If you want to learn about your rights, or if you believe you have been fired, harassed, or denied your right to a family or medical leave, then you should contact an employment lawyer. In addition, whether or not you qualify for a leave under the FMLA or the NJFLA, if you have a disability your employer may be required to permit you to take time off as a reasonable accommodation. I Need an Accommodation for a Disability. Is My Employer Required to Offer Me One? In New Jersey and New York, state and federal law require employers to provide reasonable accommodations for a disabled employee to enable him or her to continue to perform his or her job. However, employers do not have to provide unreasonable accommodations, and they do not have to change the fundamental nature of the job. In addition, employers do not necessarily have to provide the exact accommodation you requested if there is more than one way to accommodate you. However, if you ask for an accommodation, your employer is legally required to discuss your limitations and engage in an "interactive process" to determine if and how it can reasonably accommodate your disability. What is the Difference Between an "Employment Lawyer" and a "Labor Lawyer?" However, lawyers usually refer to the attorneys who handle disputes arising under union collective bargaining agreements as labor lawyers, and lawyers who handle employment discrimination, hostile work environment, retaliation, wrongful discharge, breach of employment contract and other similar claims as employment lawyers. So, for example, an employment lawyer would represent either a union member or a non-union member who has a claim under the FMLA, the New Jersey Law Against Discrimination ("LAD"), or the Fair Labor Standards Act ("FLSA"). However, a labor lawyer would handle a union grievance, union arbitrations, or an unfair labor practices claim. The lawyers at Rabner Baumgart Ben-Asher & Nirenberg, P.C. are employment lawyers rather than labor lawyers. Should I Have an Employment Lawyer Review my Severance Package Before I Sign it? Severance packages usually require you to sign away valuable rights to receive the severance being offered. For example, they almost always require you to sign away your right to bring a lawsuit against your former employer. They also might require you to agree not to compete with your former employer, not to solicit your former coworkers or not to disclose information you learned at your job. As a result, it almost always is usually a good idea to have a lawyer review a severance package that you were offered before you sign it. In addition, depending on the circumstances it might be possible for a lawyer to help enhance the severance package that you have been offered. That is another reason why it is a good idea to talk to an experienced employment lawyer before you sign a severance agreement.